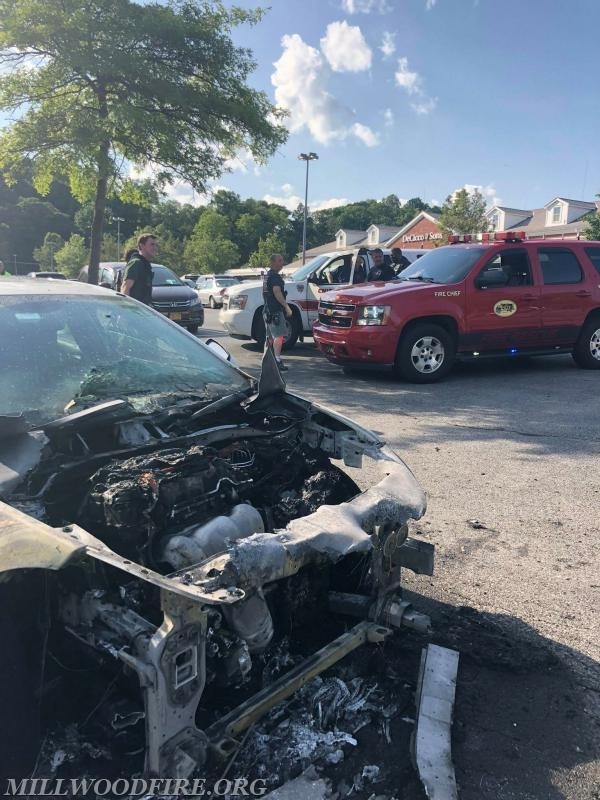 Millwood FD was dispatched to the DeCiccos & Sons parking lot for a reported motor vehicle fire. 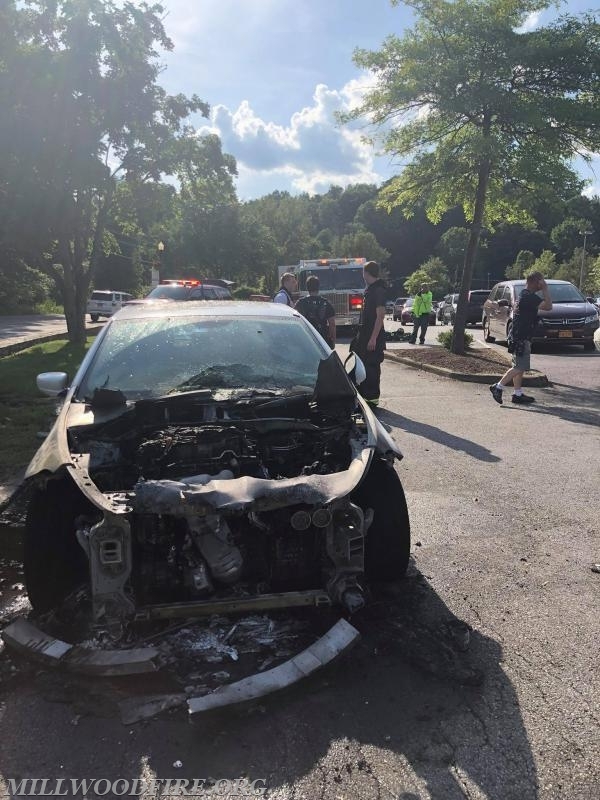 Car 2063 was on scene and reported a fully involved motor vehicle fire. Car 2254 arrived on scene and worked with Car 2063 utilizing a fire extinguisher to help douse the flames. Engine 247 arrived on scene and utilized a handline to finish extinguishing the fire. Units were back in service within an hour.